When founder, John Marusiak Jr. first read about Electrical Discharge Machining in 1955, he knew it was the future for manufacturing. A retired Air Force fighter and test pilot with plenty of energy, John, along with his wife Angie, incorporated Micro-Tronics in December of 1968. Initially running machines during the morning, visiting customers and making deliveries in the afternoon, John nurtured MTI's growth in specialized machining. 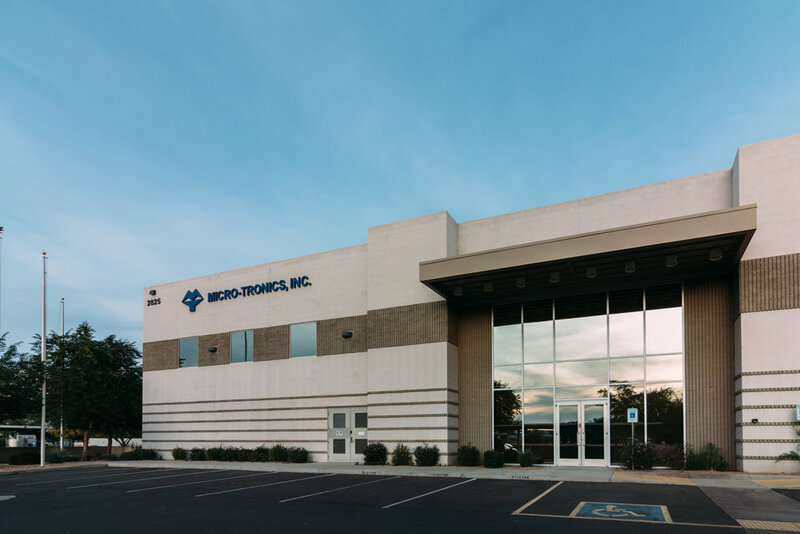 Over the years, their dedication, drive and customer emphasis evolved Micro-Tronics into one of the finest and largest advanced high technology precision manufactureres in the Southwest. MTI combines these capabilities by also manufacturing complex assemblies consisting of rubber and/or composite materials bonded to machined hardware. Over the course of time, John and Angie's children and grandchildren have joined the company and expanded the operations to include not only Conventional EDM, but computerized Wire EDM, CNC EDM, Rubber Molding, and Production Machining in an impressively clean multi-building campus in Tempe, Arizona. The latest growth oriented step forward was the opening of our newest building in 2009, bringing our total manufacturing space to over 100,000 square feet.